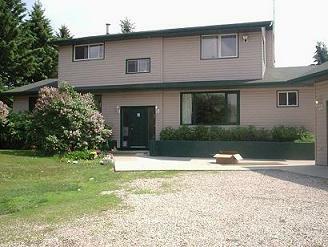 3.31 acre acreage in South Parkdale 5 minutes from Spruce Grove, on Campsite road. 3 bedroom 3 bathroom. New kitchen cabinets and laminate floor. South facing attached deck, triple car garage. Parkland county allows a certain type and amount of animals per acre. Fenced field on south side. Patio doors lead to a deck, garden space and a multitude of trees, raspberry bushes and perennial flowers. Owner will provide financing with larger down payment .. please contact if interested in this option.